One of the major struggles of being a crypto-enthusiast, is to ensure that your crypto-wallet (e.g., Bitcoin wallet) is truly secure. The most secure way that you can possibly store your assets, is to keep it in cold storage (like, paper wallet). But even though it’s a secure option, it’s not much convenient for carrying out transactions frequently. If you are an active user, there are primarily two ways to manage your cryptocurrencies — using an online wallet service, such as Coinbase, Blockchain.info, etc., or an offline desktop or smartphone client, like, Electrum, Copay, etc. Both variants have their own share of advantages as well as downsides, when it comes to security and convenience. In case of online wallets, you need to trust the third party wallet provider to keep your private keys safe. And although popular online wallets provide decent security against cyberattacks, they also have a higher chance of being a potential target. On the other hand, using an offline wallet client brings the full responsibility of safekeeping on your shoulders, which might be a good thing depending on the security measures you take. But such wallet clients usually download the entire blockchain on your device, which occupies considerable space, and syncs every time you launch the client. Either way, there’s always the risk of losing your crypto-assets to a hack or virus/ransomware attack, as long as your device is connected to the Internet. Wouldn’t it be great, if we could combine the security of a cold storage wallet, with the convenience of frequent usage? The solution is provided by hardware wallets. Hardware wallets offer the security of paper wallets by storing the user’s private keys in an encrypted format within an isolated, secure storage. At no time do the private keys leave their secured area, and till date, there is no known way of extracting them in plain text. 1 Why are hardware wallets secure? Why are hardware wallets secure? Traditional offline wallet clients use the private keys from your regular hard drive or device storage, where they are easily accessible, and often vulnerable to attacks. Even if you store your private keys on an encrypted USB storage, you’d have to eventually decrypt and transfer them to your smartphone or computer, in order to complete a transaction. On the other hand, hardware wallets do not expose the private keys, even during transactions. Instead, they ask the wallet software running on your computer or smartphone, to provide the payment details (requested amount and target address). On receiving those details, the hardware wallet, with the user’s confirmation, signs the transaction and sends back a digital signature to the software, which then completes the transaction. 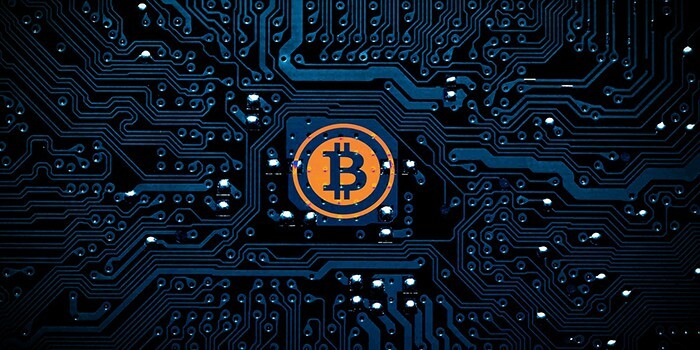 But even though using a hardware wallet is fairly secure, there’s always a possibility that its implementation may have been inaccurate, or the hardware manufacturing and shipping may have been compromised. Thus, it’s very important to ensure that you invest in such hardware only from trusted manufacturers. In this article, we’ll explore some of the best and most popular hardware wallets, dedicated for storing Bitcoin, Litecoin, Ethereum and other popular cryptocurrencies securely. 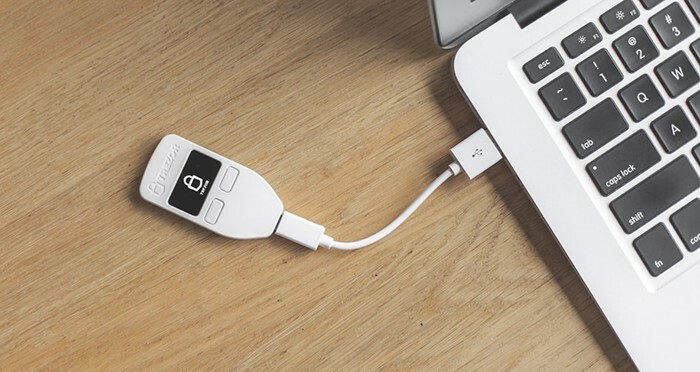 Trezor is one of the first secure hardware bitcoin wallets to be introduced in the market, and is still considered as one of most secure hardware wallets. It uses a deterministic wallet structure, and can hold an unlimited number of private keys. The setup process is quick and easy, with a recovery phrase (word seed) being shown during the initialization of the device. At any time when your device is lost, misplaced or stolen, this recovery phrase may be used to restore the wallet contents to another new or wiped Trezor device, or any BIP39 / BIP44 compatible wallet. The Trezor wallet is accompanied by a software called Trezor Bridge, which helps you to set up your Trezor device and also acts provides the wallet’s interface, where you can view your balance & transaction history, as well as send & receive crypto-payments. The software client is available for Windows (7 or higher), macOS (10.8 or higher) and Linux platforms. Trezor is also supported on Android devices with USB OTG capability. Additionally, a Chrome extension is also provided. The Trezor device can be purchased online from the official store at $99.00. Ledger Wallet is built much on the same principles that Trezor is built upon, but takes advantage in the look, feel and build quality of the hardware. Ledger Wallet has two primary products — the Ledger Nano S and the Ledger Blue. Both of these devices are hardware crypto-wallets that are capable of storing your wallets’ private keys in a secure, isolated micro-controller. The Ledger Nano S is a USB powered, thumb drive sized hardware wallet that accompanies a small OLED display, where you can view and sign your crypto-transactions. It stores all your wallets’ private keys within a Secure Element, which is further secured with a PIN code. All transactions need to be physically signed with a press of a button, which eliminates the possibility of software tampering. Ledger Nano offers companion Google Chrome apps for Bitcoin, Ethereum, Ripple, etc., which act as individual wallet apps for the respective cryptocurrencies. You can also use other compatible software wallets, such as Copay, Electrum, Mycelium, etc. 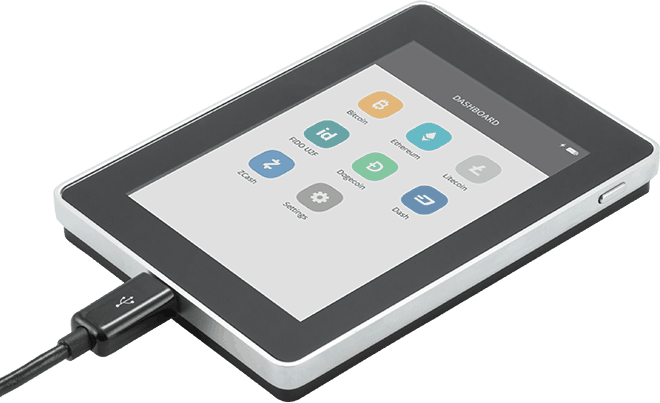 On the other hand, the Ledger Blue is a sophisticated hardware wallet, featuring a touchscreen enabled, LED backlit 3.5 inch color display, capable of running full-blown wallet apps specific to different cryptocurrencies. The touchscreen enables users to navigate through apps or sign crypto-transactions. It supports USB connectivity and can be used with any computer running Windows, macOS, Linux or Chrome OS. Bluetooth support is also available on the device, though none of the wallet apps currently utilize that functionality. The Ledger Blue is based on a dual chip architecture, embedding a ST31 Secure Element that holds your private keys securely, and a separate STM32 micro-controller, in order to create an isolated environment to run its various companion apps, on top of its firmware. This architecture allows Ledger to add new cryptocurrencies or apps without compromising the security of the wallet. As for compatibility, both Ledger Nano S and Ledger Blue support the same cryptocurrencies, and offer the same security that you’d expect out of a hardware wallet. Both Ledger Blue and Ledger Nano S hardware wallets are available for purchase online via the official Ledger website. The Ledger Blue costs 229.00 € and above, while the Nano S starts selling from 58.00 €. Users can also buy a special OTG Kit, which includes various kinds of OTG cables and adapters (including USB Type C / Micro USB connectors), for 12.50 €. You can refer to this page for various tutorials on setting up, signing transactions and restoring your wallets using Ledger Blue and Ledger Nano S. Device restoration is supported on new or wiped Ledger devices along with other BIP39 and BIP44 compatible wallets. KeepKey is another hardware wallet that works quite similar to Trezor or Ledger Wallet. It generates and stores your wallets’ private keys using a random number generator, aided by a computer. The private keys are then used to sign crypto-transactions, which is taken care by the KeepKey device as well. Once your private keys are generated, you get a one-time opportunity to backup your wallet in the form of a 12-word passphrase, which can later be used to completely recover your wallets. The private keys are stored in an isolated storage and never leaves it. Each cryptocurrency transaction is digitally signed by the wallet, when it is manually approved using the confirmation button on the device. Currently, KeepKey supports Bitcoin, Ethereum, Litecoin, Dogecoin, Dash, Namecoin, with more coming soon. It also includes ShapeShift integration, which allows you to exchange assets between different cryptocurrencies. KeepKey also supports other third party wallets clients, such as Electrum, MultiBit, and Mycelium, and supports Windows, macOS, Linux and Android platforms. This is yet another digital cryptocurrency hardware wallet that stores your wallet private keys within a high-security chip that prevents physical extraction. It’s a simple USB device designed in the form of a microSD card holder. The onboard slot for microSD card offers offline backup and recovery. You can backup your wallet any time and as often as you like. Once you have set up your wallet with a password, you are good to start sending and receiving Bitcoin. All outgoing transactions are signed internally within the device, after confirmation from the user by pressing on the hardware button on the wallet. The software installed on your computer verifies the digital signature and completes the payment. Along with desktop apps, Bitbox also has smartphone apps to view your wallet balance and other details. With two-factor authentication enabled, you can sign payments on the device only after pressing the hardware button on the device, as well as confirming the same on the smartphone app. You can learn more about the features of Digital Bitbox here. The Bitbox device itself costs $50.00, and includes a $8.00 worth microSD card for free. The total package is available for $78.00, including shipping charges, from the official website. OpenDime is a small USB hardware wallet that allows you to use Bitcoin like a dollar bill. Unlike the other wallets, it is ideal for giving Bitcoin to others rather than storing your own crypto-assets. It’s built on bare-bones hardware to keep the costs low yet be secure enough to use. Using OpenDime is quite easy. You plug it into a laptop or OTG-enabled Android device, and it will show up as a normal USB drive. Now, you need to copy files into the drive as long as it allows you to. This is done to generate private keys within the hardware device, using the randomness of the data that you copy into the drive. Once the drive has enough data, it will automatically eject itself and mount again once the Bitcoin wallet address has been generated. At this stage, you can send Bitcoin to this address for as long as you want, as much as you want. You can also check your wallet balance, and access other functionality, by mounting the OpenDime drive on a computer or an OTG-supported Android device, and opening the “Index.htm” file from its root directory. If you wish to gift someone in Bitcoin, simply load the particular wallet address with the preferred amount and then hand over the device to them. The receiver has to use a pin to push through a hole at the back of the device, thus unsealing it. This changes the internal circuitry and contents of the hardware wallet. And when it’s plugged into a computer via USB, the mounted drive will reveal the private keys in a text file, as well as in QR code. The user just needs to import the private keys into any preferred Bitcoin wallet of their choice, to be able to access and spend the funds. Once unsealed, an OpenDime cannot be sealed again. It is like breaking your piggy-bank to access and spend your stored funds; that’s the philosophy of OpenDime. OpenDime is a hardware wallet meant for the Bitcoin geek. The latest iteration (version 2.0) is available for purchase from the official store, starting at $35.65 for a pack of 3 OpenDime devices. What do you think about our compilation of hardware cryptocurrency wallets? Let us know in the comments below. Ledger vs TREZOR – Which hardware wallet should you go for?